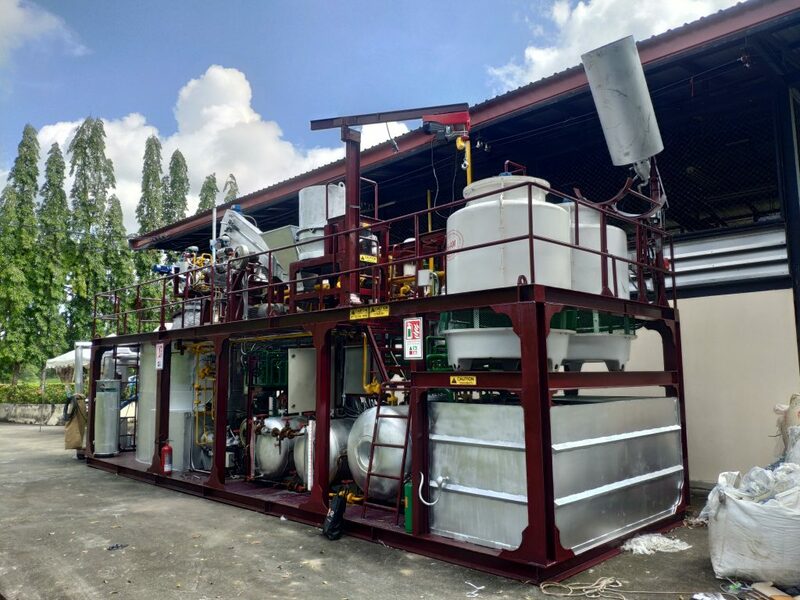 Energy Services – Energy Thai Trading Hub, Co., Ltd.
Pyrolysis is the process of chemical transformation of plastic including used tires to the higher heating value fuel, i.e. coal, oil and gas. The process is done by heating at 200-450°C in anaerobic conditions. The proportion of pyrolysis products depends on several factors, including reaction conditions, characteristics of raw materials used as substrate, and type of reactor. The quality of oil produced through pyrolysis process can be further improved by distillation processes. The advantage of this technology is that it reduces wastes going to landfill and greenhouse gas emissions. Also, it has the potential to reduce the country’s dependence on imported energy resources by generating energy from domestic resources. Waste management with the help of modern pyrolysis technology is inexpensive than disposal to landfills. Our pyrolysis plant is a mobile type which could be moved by using a truck trailer. The process can deliver at least 400 liters of pyrolysis oil per day. Our energy storage system uses sodium-sulfur (NAS) battery technology for its well known advantages over other batteries i.e. long duration, high power, and long-life expectancy.